AUSTIN, TX -- Former Texas Gov. 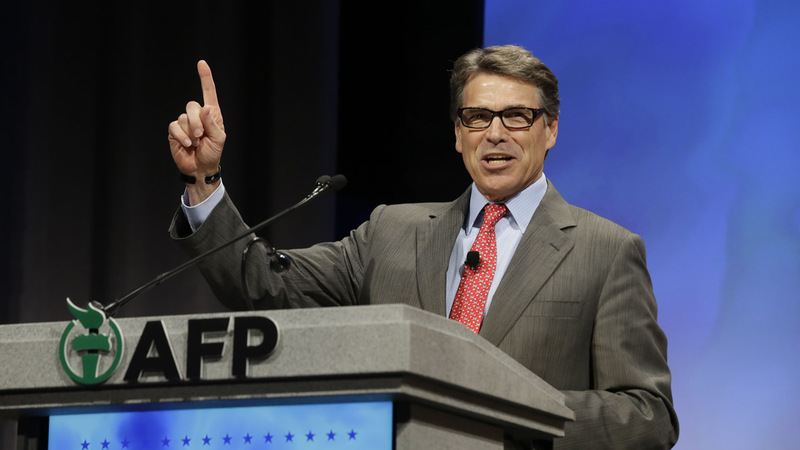 Rick Perry will say next month whether he's running for president. Perry is the longest-serving governor in Texas history. He's been traveling in Iowa and other early-voting states to explore a second campaign for the White House. A spokesman says the Republican former governor is not ready to say he's made up his mind, and says Perry will announce his intentions June 4 in Dallas. Perry left office in January. His 2012 presidential campaign was short-lived, undone by an "oops" moment in a debate when he couldn't remember the third Cabinet agency he wanted to eliminate.